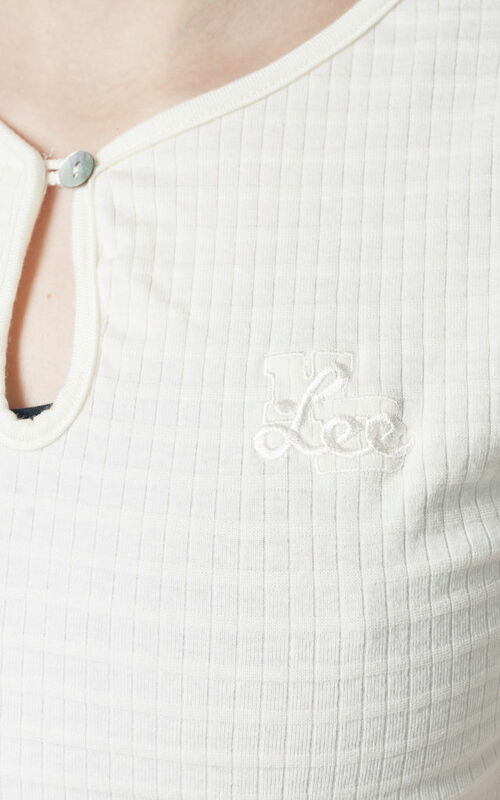 This one is an original Lee top from the 90s. It's so pale vanilla yellow that it's almost white. Made of a ribbed cotton fabric and has a button at front. Features a nice embroidered logo at front. It survived in a great condition without any specific flaw. shoulder: 39 cm / 1' 3"
width (seam to seam): 40 cm / 1' 3"
sleeves: 12 cm / 0' 4"
bust (max): 100 cm / 3' 3"
length: 62 cm / 2' 0"